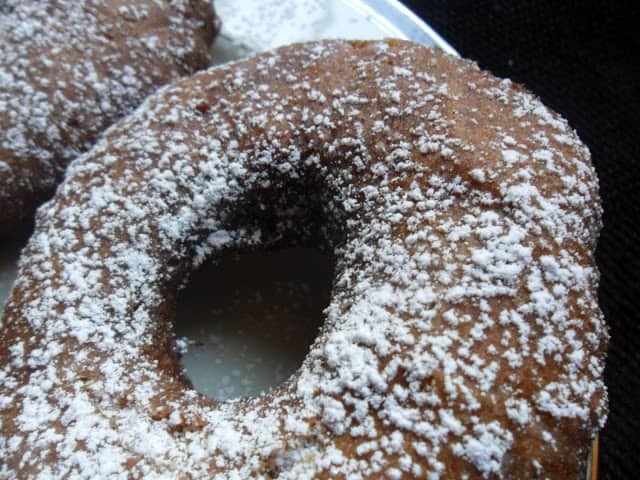 Nothing is better than reading the newspaper on a Saturday morning, while eating a warm homemade doughnut. Well, maybe when you dunk that donuts into a cup of hot coffee, that might qualify as better. 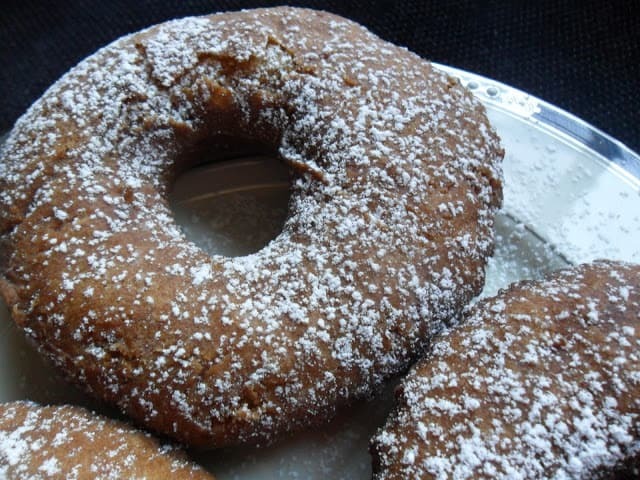 Apple Cider Spice Donuts are an easy donuts recipe that is made with apple cider, apple pie spice and sprinkled with powdered sugar or a mixture of cinnamon-sugar. 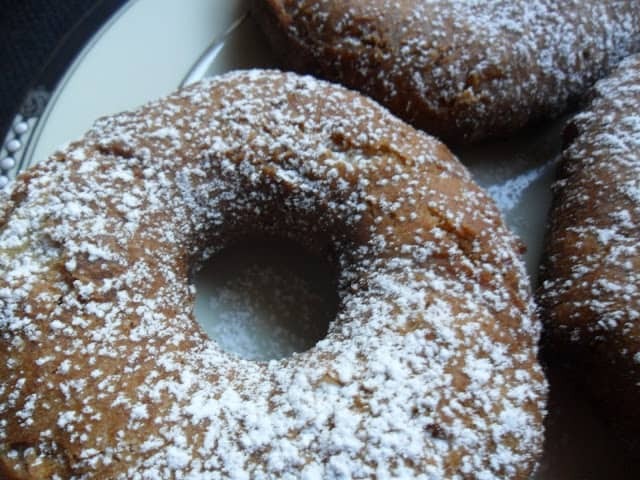 Homemade donuts are so delicious! Totally worth the effort. I don’t make homemade donuts very often, maybe twice a year, but when I do make them, I always marvel at how easy they really are to make at home. 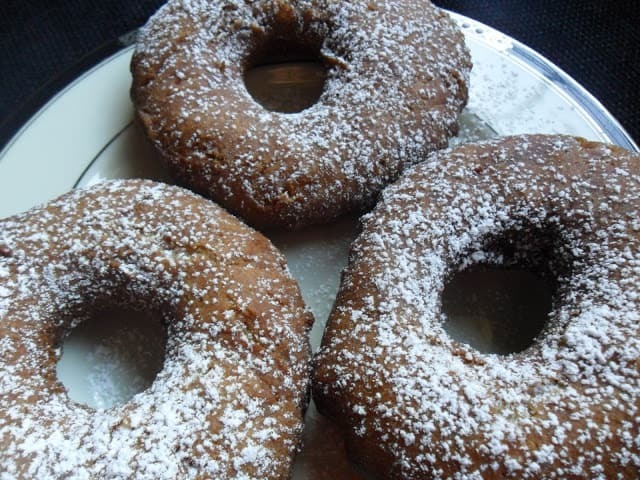 The main reason why I don’t make donuts at home is a simple one, we have two favorite bakeries that we frequent; Smurawa Bakery in Pulaski, Wisconsin and Schaefer’s IGA in Crandon, Wisconsin. Both places have some of the best bakery I’ve ever had….and I’ve eaten plenty! In a large mixing bowl, beat packed brown sugar, eggs, salt and spices. Beat until thick, about 3 to 5 minutes. Gradually beat in the cooled melted butter, then beat in the apple cider. Combine flours, baking powder and baking soda. Add to batter, beat just until blended. Cover and refrigerate 1 hour. Divide dough in half. Turn dough onto a lightly floured surface, pat into 1/2 inch thickness, cut with a floured 2-1/2 inch doughnut cutter, repeat with remaining dough. In an electric skillet or deep-fat fryer, heat oil to 375 degrees. Sprinkle with powdered sugar or cinnamon-sugar. Looking for more recipes? Take a look at these sensational recipes for: Homemade Pear Vinegar, Homemade Applesauce and Smoky Sun Dried Tomato Scones.